The Hannekens lead Ends of the Earth Cycling - a ministry of New International that uses cycling to transform the lives of global youth. The Hannekens began serving with NMSI in January 2011. Justin's role was Director of Outreach for YouthHOPE. This position lasted for 3 incredible & fruitful years. During that time, he and Karena developed Ends of the Earth Cycling, a ministry of New International. Ends Cycling exists to promote and resource global youth ministries. Since it's inception,Ends Cycling has hosted over 2-dozen Christ-centered cycling tours that have raised over $500,000 for global youth ministry. Serving as Executive Director, Justin leads a team of 9 full-time affiliates as well as over a dozen volunteers. 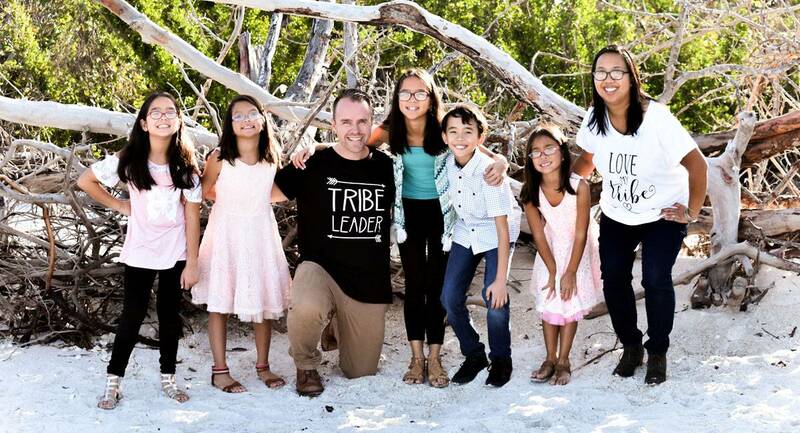 Karena homeschools "the tribe" which consists of Gloria, Bryce, AJ, CeCe, and Kenzi. Both Justin & Karena love to serve both domestically and internationally. Your financial gift and prayers will enable them to continue doing so. To God be the Glory!